What’s the difference between Heidi’s Musical Gymnastics and other programs? This question is key to finding the right program for your child. The most glaring reason is that most programs are generic, using hype, imagery or forms of psychology in replace of a substantive program. You must consider many factors. Is the gym/studio offering a “catch all/jack of all trades” facility? In other words, are many sports offered other than gymnastics/music and movement? This may raise big questions just how committed this ”gym” is to gymnastics/movement. Heidi’s program is committed to small classes, offering personalized, individual training. She employ The Great Strides Monitoring System to ensure children are monitored and placed in the appropriate classes reflecting their skill level. Creative lesson plans are custom made and updated monthly by Heidi, who has built an excellent reputation, and has a great history backing up her program. Additionally, some programs may be all about the name, the advertising blitzes and claims of in house refinement of their programs, even throwing in buzz words like the “best” or “experts” to attract students. While many of these gyms make for terrific eye candy, you should consider just exactly what it is you would be paying for. Should you pay mainly for atmosphere, a name or a cleverly decorated facility? How much experience do the instructors have? Check their web sites for employment opportunities. See if experience, particularly gymnastics experience, is important. Should a program that hires people with minimal prior experience declare itself as having the best program for children? 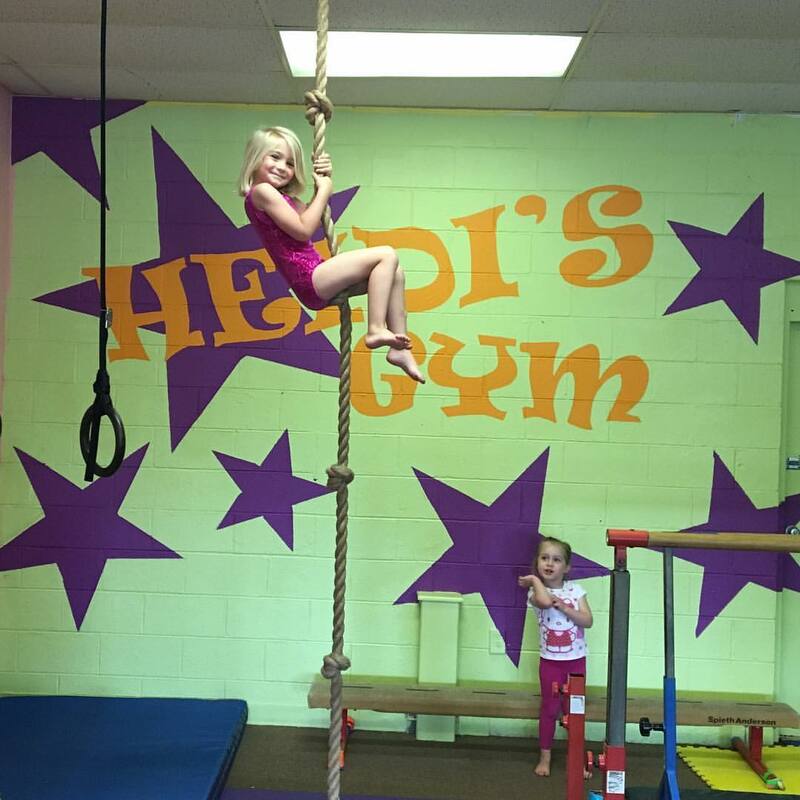 Why did Heidi’s Musical Gymnastics open in Farragut, TN? Ashley De La Rocha went to Farragut High School. He met his wife Heidi in Los Angeles, and shortly after the birth of their first child, they felt Knoxville would be a better environment to raise children. With Heidi’s love for gymnastics and her impressive accomplishments in gymnastics and teaching, they decided to set up shop in May 1999. Their dream was realized opening up Knoxville’s first gymnastics/creative music and movement program. They differ than other programs in many ways other that being the true alternative to generic programs. In a landscape that is witnessing franchises sweeping throughout America, with some people owning 2 or more stores, Heidi’s is committed to being directly in touch with their students and families. They did not come to Farragut because of consultants, unlike a wide variety franchisees whose locations were determined by franchisers after researching what population centers might be the next “pot of gold”. Many chains require every franchisee contributes money to constantly promote their “brand”. Heidi’s Musical Gymnastics believes a good program should be most important. They do their own advertising, relying heavily on word of mouth from happy participants. They believe they offer the advantage of being directly involved with students and their parents/ caretakers. They have the advantage of being “hands on” with the development and progress of their students. Additionally, Heidi teaches all her classes, bringing her immense expertise to bear. Heidi believes in program and results, not hype. No consultants, psychological studies, or sales experts are needed.